When I packed for Spring Break, I forgot to pack my cleanser. 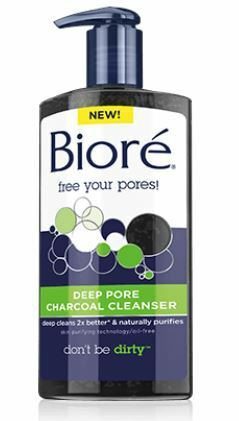 I stopped at CVS on the way out and picked up the Biore Deep Pore Charcoal Cleanser. I had tried a sample packet that came in my Seventeen magazine and really loved it, so forgetting my cleanser was the perfect excuse. I have combination skin, oily around my T-zone with dryness on my cheeks and around my nose. This makes it hard to find a good balancing cleanser, especially because my skin is too sensitive for something harsh with chemicals in it. All that said, I really love this cleanser. It has a slight cooling effect when you first put it on and it just leaves your skin feeling very clean, but not tight and dry. I feel like my skin looks clearer after I use it and I have definitely seen a difference after using it during my worst skin week since high school. It can be a bit drying if you aren't moisturizing or if you have dry skin, but I haven't found it to be a problem since I moisturize at least once a day. I am looking forward to the summer when my skin gets a bit oilier and this will work perfectly, with or without moisturizer. It comes out looking like a black jelly and even though it feels very soft on the skin, I think the tiny particles in it do a good job of exfoliating without being scratchy or irritating my skin. All in all, I'm really enjoying using it. It makes my skin feel cool and clean while also clearing up ay problem spots, win win! 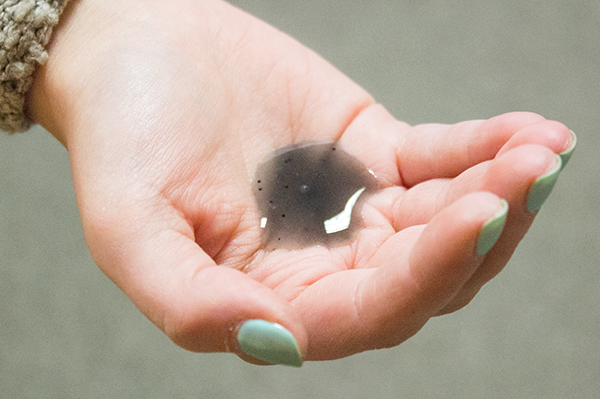 Have you ever tried this cleanser? Which face products are your currently loving?